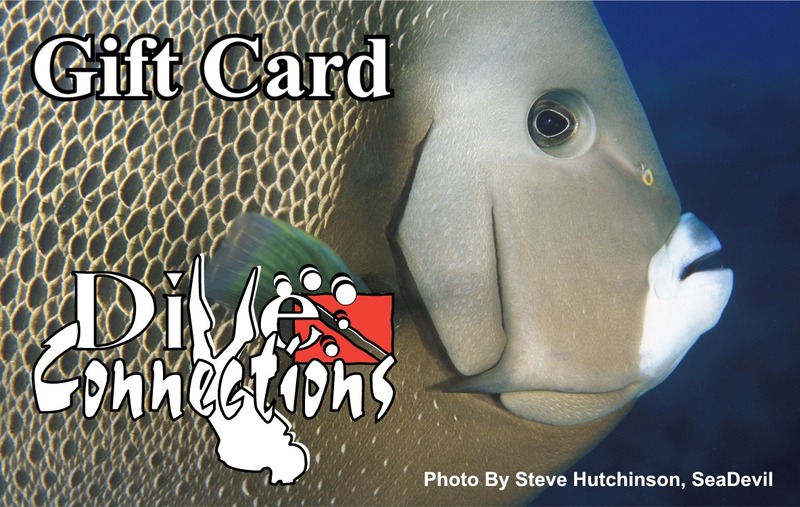 Try a Dive Connections Gift Card! We will mail your gift card within 24 hours, meanwhile your receipt is sufficient to validate your gift in our records. Thanks for your support of Dive Connections . Happy Diving! The links above carry information on transfer that identify our store and these vendors have agreed to support us as a local dive retailer. If you purchase on-line please keep in mind that everything is not as it might first seem. Many web sellers are not authorized dealers. Click here for more information. If you like purchasing online and enjoy the additional support we provide, then bookmark this page and always enter these sites from our page and we will be delighted to stand by your purchase through us. If you have any questions about our site or on-line activities, please give us a call.